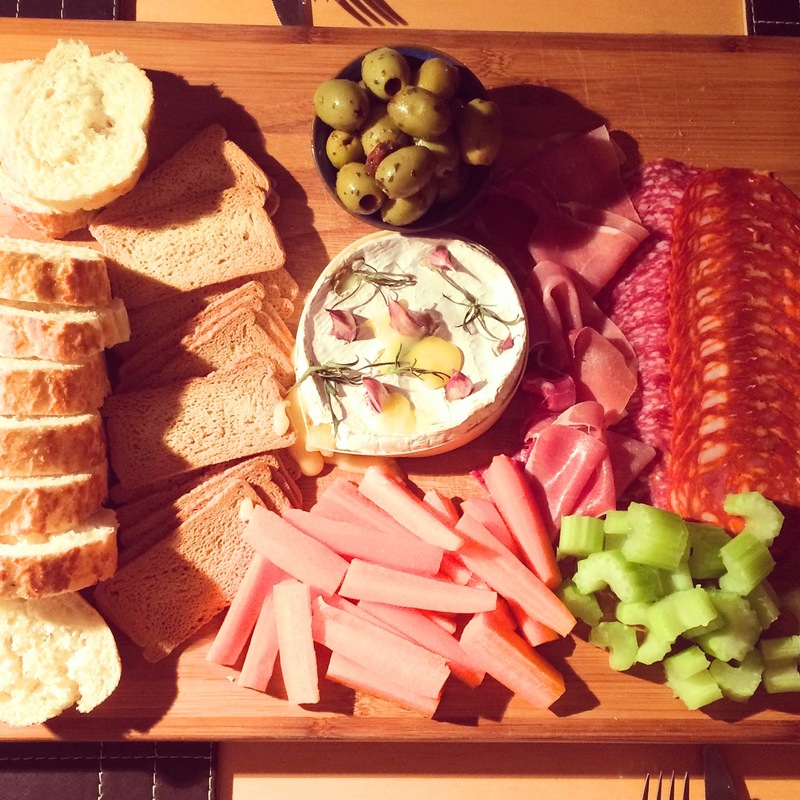 A dinner party is the perfect excuse to eat way too much food and drink cocktails in the comfort of your own home. I love nothing more than spending time with friends and catching up on everything. 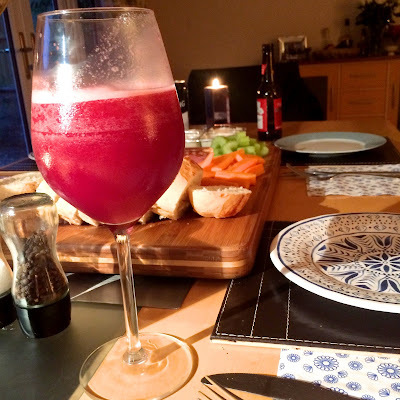 I received these fabulous cocktails in the post last week and I couldn't wait to try them, especially as Freya and I are big fans of cocktails! 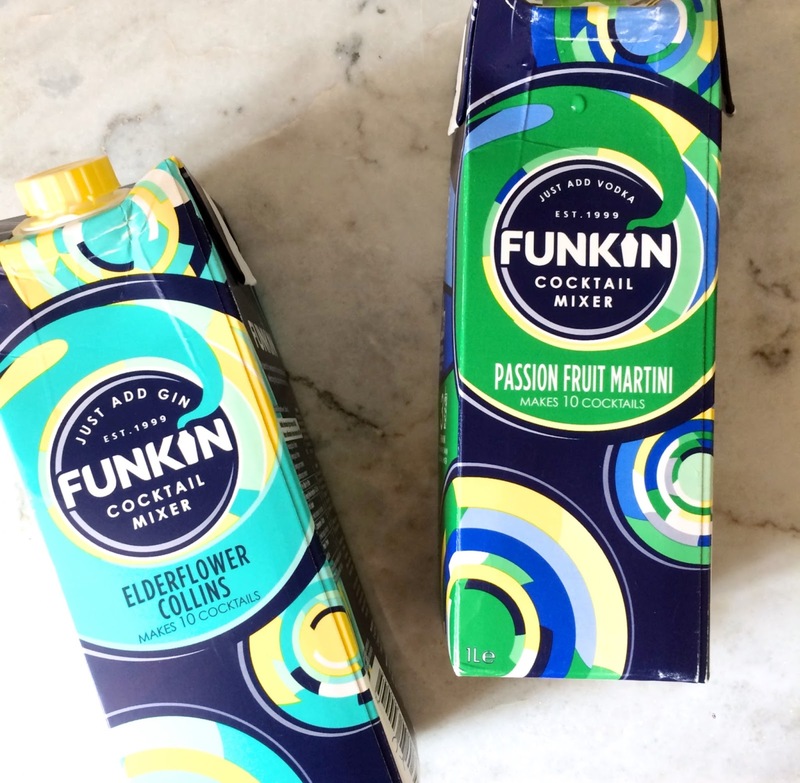 Funkin' are a brand I had heard of before and I love their branding/packaging. They are pre-mixed cocktails, to which you just add alcohol. They tasted like we had made them from all the separate ingredients, they were so good! My favourite was definitely the Raspberry Mojito. This was our starter; Camembert, Meats, Bread, Melba Toasts, Olives, Carrot sticks and Celery. I love picky starters and i'm a little bit obsessed with Camembert at the moment so I thought it would be a quick and easy starter to make! 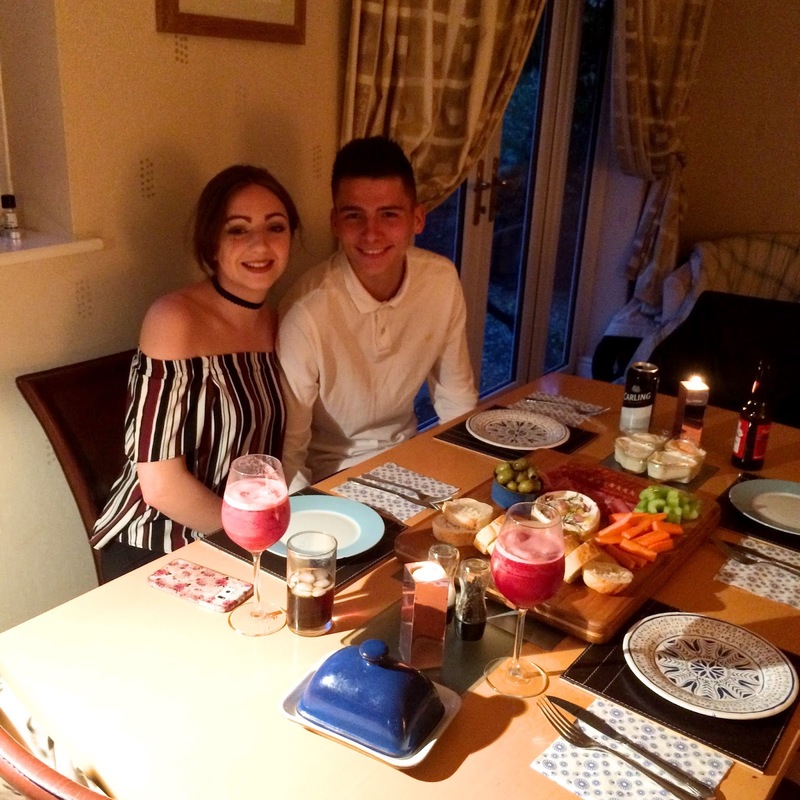 Please excuse the lighting and how un-instgrammable (is that a word?!) these photos are! For mains, we had chicken wrapped in bacon with gravy, prosecco vegetables and dauphinoise potatoes. We were all so full after the main, we couldn't manage the apple pie dessert! I am excited to try the other two cocktails we didn't manage as i'm sure there will be another opportunity for cocktails soon! I hope you have all enjoyed this post! 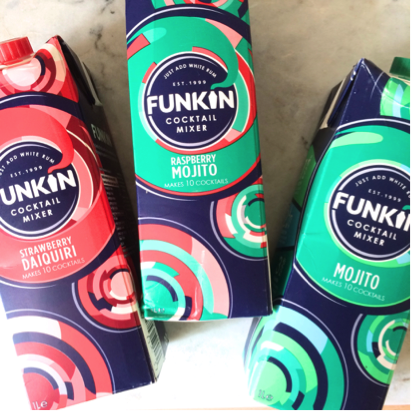 Let me know if you have tried any of the Funkin' range! I've been wanting to try the Funkin Cocktails for ages! 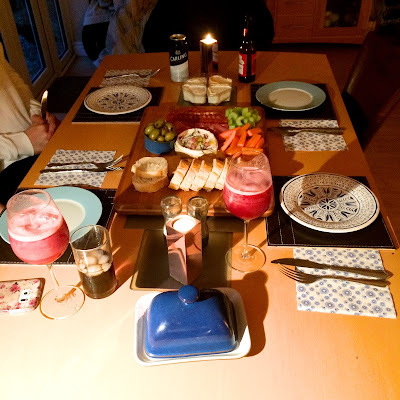 All the food looks fab, making me hungry ahah!